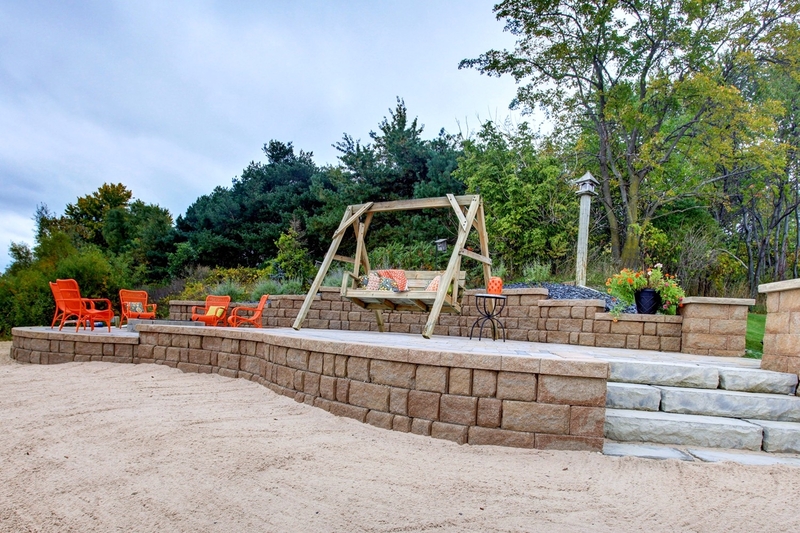 Your poolside or beach is your oasis, and it should look like one! 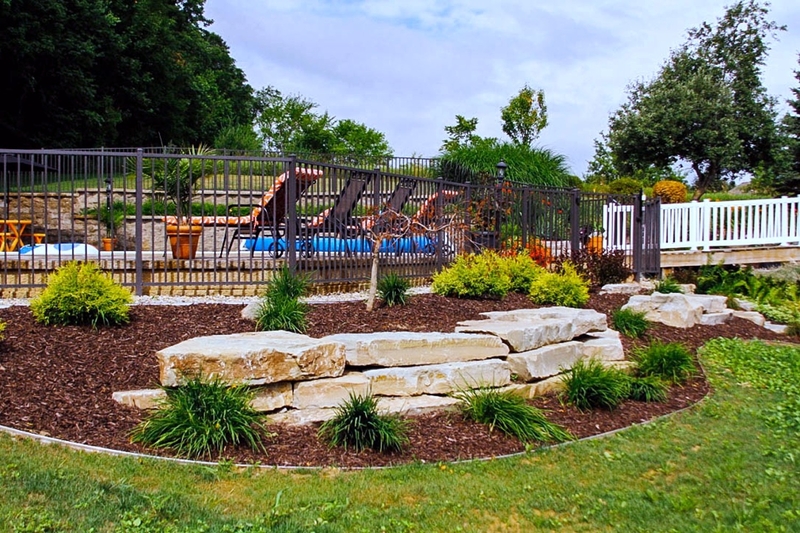 Master landscaping services to make your pool or lakefront the envy of the neighbors. 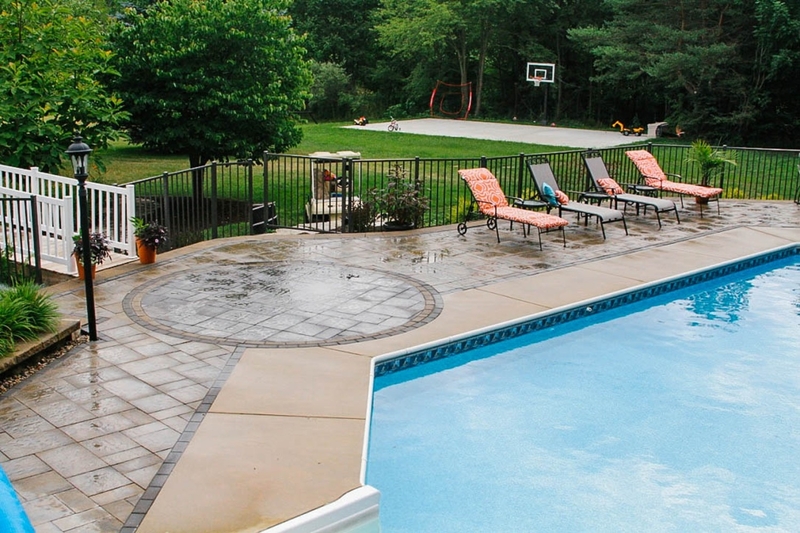 “We had landscaping around our pool done, and (then) a paver patio adjacent to and existing patio and our pool. We are extremely happy with the workmanship on both projects. 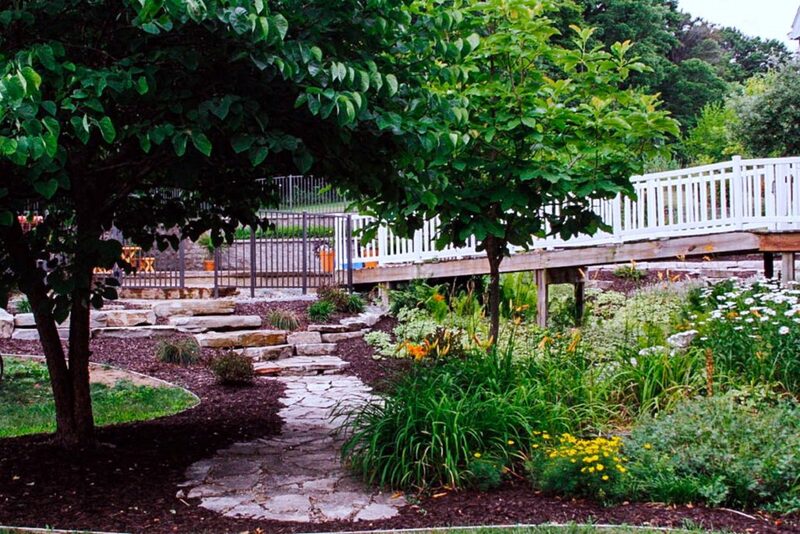 The finished product exceeded all of our expectations … first class and extremely customer focused.” – Deb & Mike C.
Visually stunning and structurally solid landscapes and hardscapes. When it comes to pools, lakes and beaches, structural integrity is just as important as aesthetics. 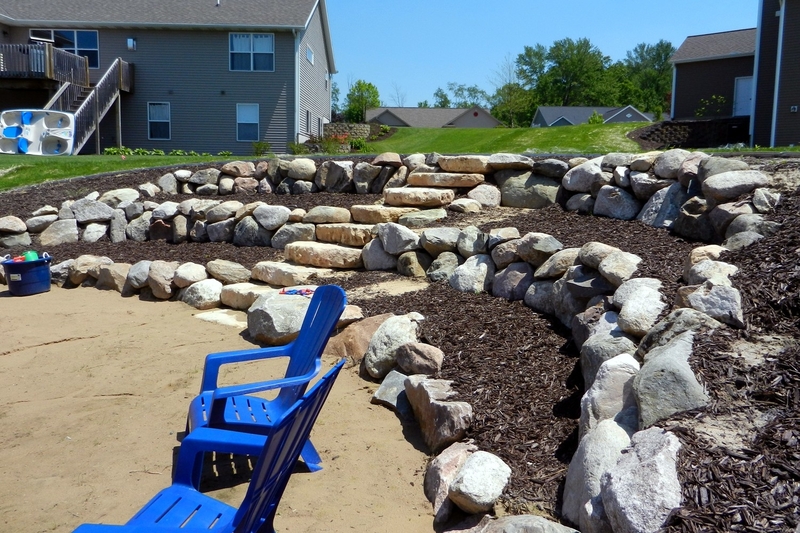 Water creates erosion and other problems that the right landscape and hardscape can resolve! 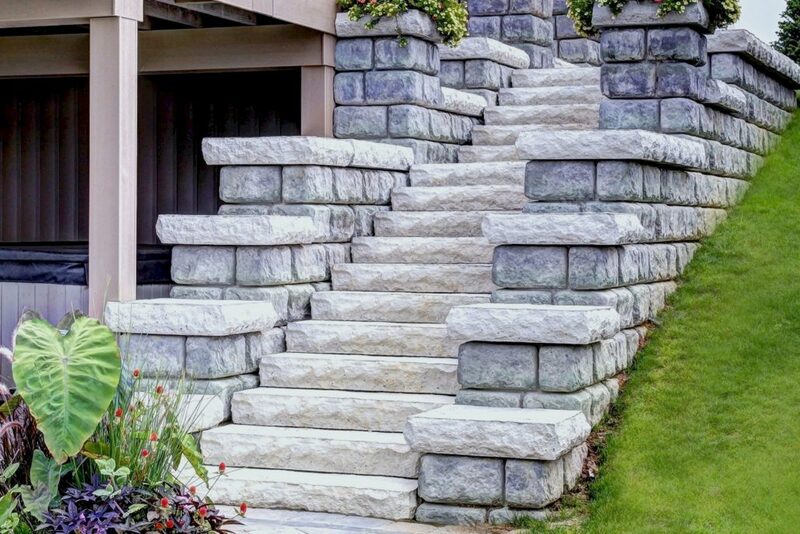 The expert team at ProMow strives to not only make your space beautiful, but areas that will withstand the elements for years to come. We also incorporate nursery stock that will not only look amazing, but also thrive in the conditions of your area. Ones that will become an important part of their surroundings. 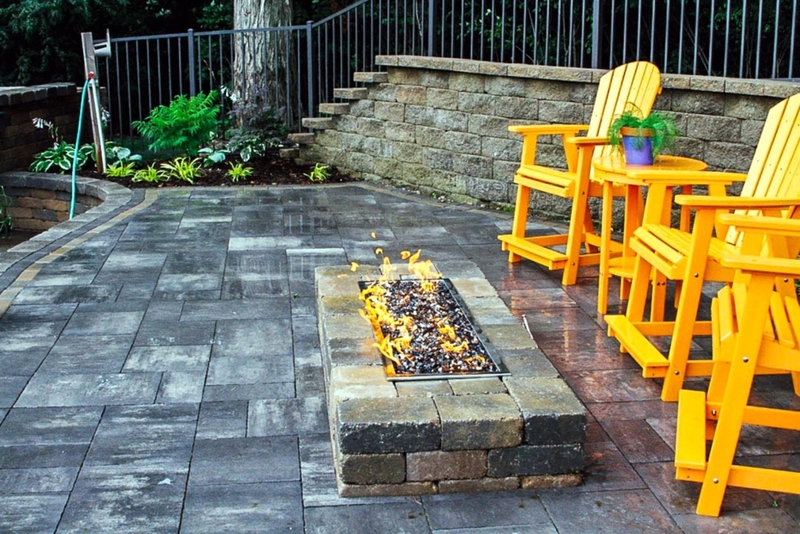 Hardscapes such as patios, stone or brick retaining walls, outdoor kitchens and custom fire pits. 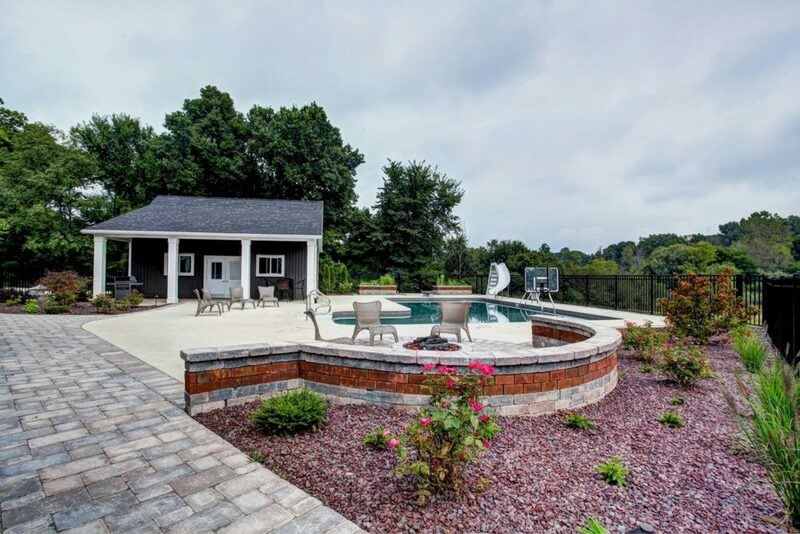 A patio and landscaping around your inground pool take it from ordinary to extraordinary! 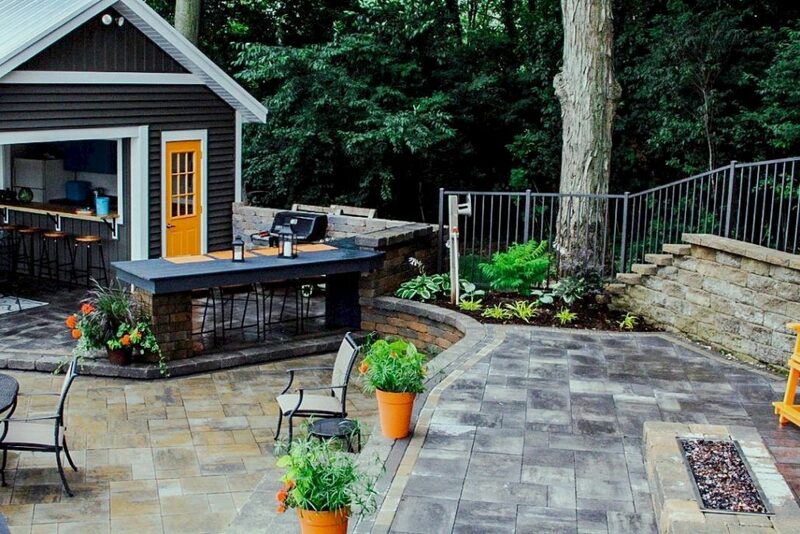 From large to small patio spaces, simple to elaborate landscaping, ProMow can pull it all together for you. 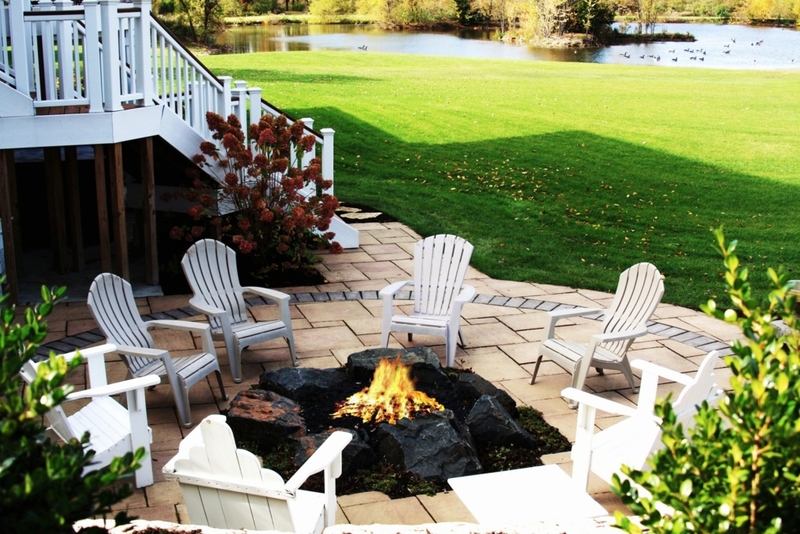 Add a custom-built outdoor firepit to your patio or outdoor kitchen area for a stunning centerpiece to your summer evenings with family and friends. 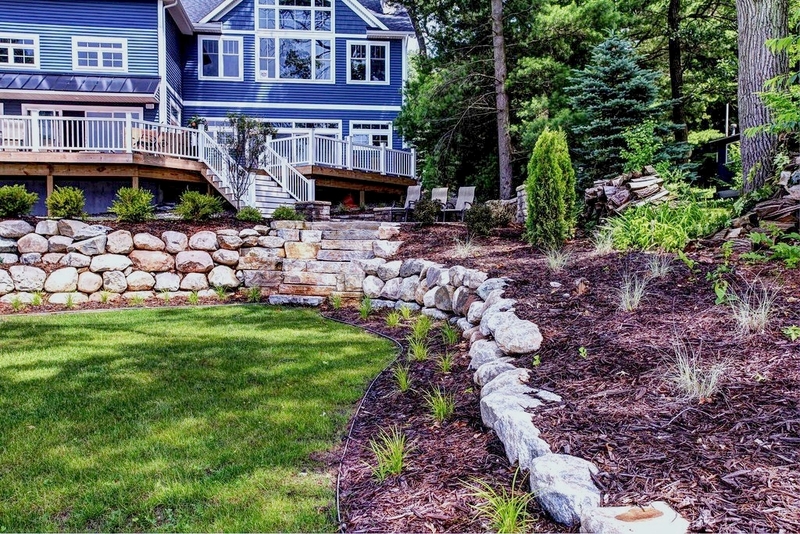 Lakeside and beachfront landscapes and hardscapes create wonderfully-relaxing spaces to take you away from the hustle and bustle of everyday life. We can even create a new beach for you!